Clive Davis has admitted he is still in shock over the death of his protege Whitney Houston five years ago. 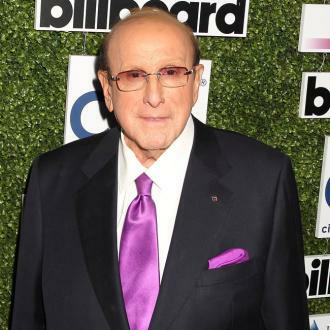 Clive Davis is still in shock over Whitney Houston's death. The 48-year-old singer drowned in a bathtub in 2012 at the age of 48, just hours before she was due to attend Clive's pre-Grammys gala at the Beverly Hilton in Los Angeles and the music veteran admitted he still finds it hard to believe his protege is dead. And Clive, 85, will always consider Whitney one of the greatest singers of all time. Meanwhile, unreleased Whitney Houston recordings were made public as part of a brand new soundtrack to mark the 25th anniversary of 'The Bodyguard' this year. The collection called 'Whitney Houston - I Wish You Love: More From The Bodyguard' was released on November 17, and featured a host of unheard pieces from the late singer's legendary career. The collection was released exactly 25 years after the release of 'The Bodyguard: Original Soundtrack Album', which the 'I Wanna Dance With Somebody' singer co-executive produced with Clive. It's the top-selling soundtrack of all time - while 'The Bodyguard' marked the star's movie debut - and it has gone on to become one of the best selling albums of all time.